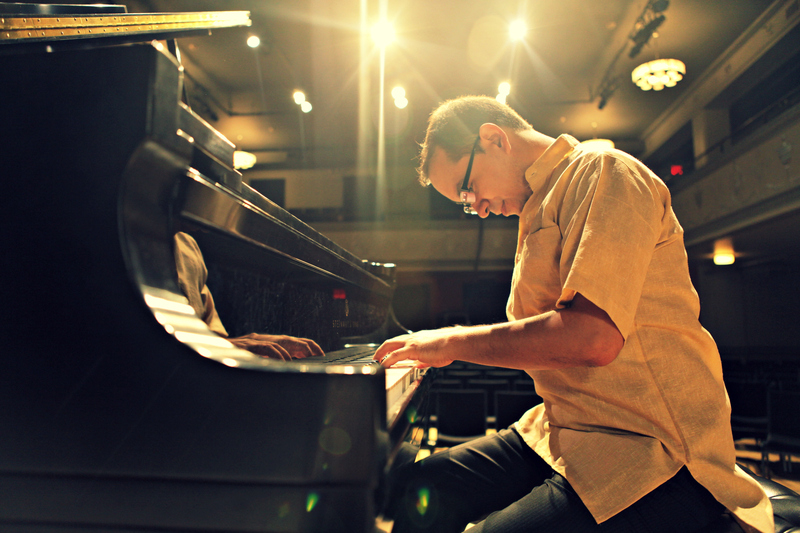 “Gabriel Guerrero is blest with a masterful musical intellect. This enables him to form gorgeous melodic ideas that seemingly appear out of nowhere to captivate the heart and mind of the listener for listen they must as Guerrero creates wondrous whorls of songs, resplendent in melody and harmony, and rich in the rhythm of his mystical Colombian roots. These roots have given rise to wide and wind-swept branches that cover a wide imaginary swathe of musical topography from Colombia through the rest of Latin America to the United States and on to Europe. The pianist has technique that would make him a magnificent concert hall pianist, playing the music of the Great Composers of decades gone by. However he has chosen to play the music of his American idol, Bud Powell from whom he drawn broad inspiration. In finding his own voice, however, Guerrero appears to have combined Powell’s classic, delicate melodicism with a strong underpinning of Afro-Caribbean and Latin American rhythm. The result is a singular kind of decorative style laced and accentuated with sinewy rhythms.His album Feyas is a great start to the career of a musician full of promise. Like some of the finest scholarly pianists-composers (for example: Gonzalo Rubalcaba) to come from way south of the border, Guerrero has exploded on the stage with music of immense maturity. Although his virtuosity shines through the spotlight always remains on depth of thought, complexity of ideas that build in logic as well as unbridled creativity from a soulful wellspring to a wonderful conclusion. Thus his immense musical intellect shines through. His composition “Charlie,” for instance is spun out like a masterfully constructed spider’s stratagem, which is beguiling and mesmerizingly slow at first, then reveals itself for the powerful vortex that it contains, which, in turn, draws the listener into its tonal center with a spectacular harmonic design spun with rapturous delight. Although it comes from a completely different source (bebop music) Guerrero’s re-invention of Bud Powell’s “Un Poco Loco” makes a remarkable statement about the relationship of rhythm that lies at the heart of both Afro American music and the music that Guerrero grew up with in his heart: Colombian folk forms. The manner in which he combines both influences makes foe a wondrous listen. Tracks: Colombia Tierra Querida; Un Poco Loco; Hope; Charlie; Tonto Malembe; Ritual; Snake Shot; Tango Reflexivo; Crepusculo. “Gabriel Guerrero: Feyas The mere mention of bop piano icon Bud Powell as an inspiration and major influence should be a justifiable motivation to pay attention to Gabriel Guerrero. The energetic pianist’s Feyas displays a recognized reverence to Powell while also exhibiting self-assurance, technical expedience, and compositional proficiency. “Colombian-born composer and pianist Gabriel Guerrero emerges from the talent-rich jazz environment of New York City as the latest hidden wonder to surface and stake a claim with a brilliant musical statement on FEYAS. Some people believe in angels that exist to protect and guide them. As a young child Guerrero named his angels FEYAS, as an adult, he’s thankful and grateful for the musical path these angels have guided him towards. A classically-trained pianist, Guerrero draws on a blend of be-bop, Latin, Colombian and other rhythms, contributing seven originals and borrowing two covers in producing this project. 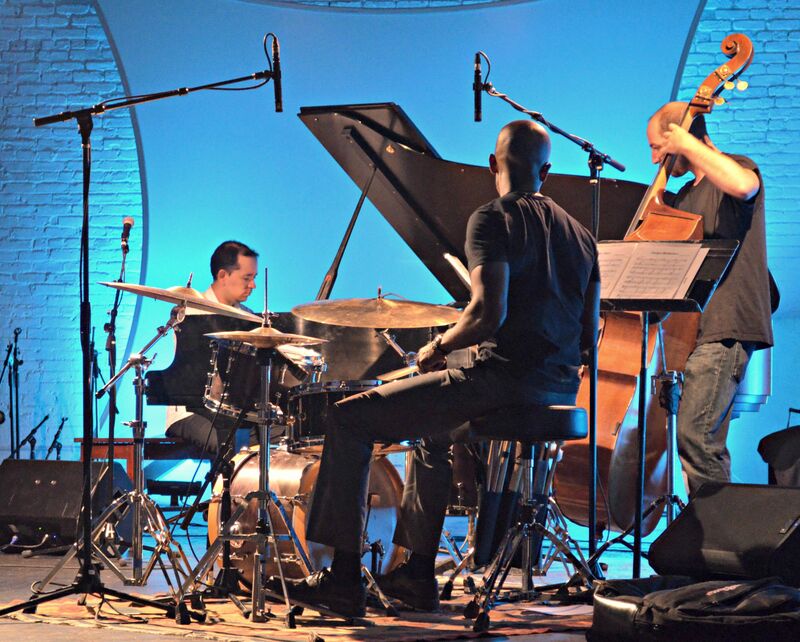 Performing with his core piano trio consisting of bassist Jorge Roeder and drummer Eric Doob, Guerrero augments the personnel to include the likes of tenor saxophonist icon Jerry Bergonzi—who appears as special guest—along with percussionist Samuel Torres and bassist Bruce Gertz among the fifteen musicians on the disc. Drenched in the Bullerengue, Porro and ternary Colombian rhythms, “Hope” serves as a vehicle for Guerrero’s stylistic piano playing and showcasing his more than appreciable chops on the instrument. The pianist is just as impressive on “Charlie,” his tribute to the late pianist and educator Charlie Banacos whose ear-training education method is still used around the world. Banacos was Guerrero’s teacher and mentor in Boston. “Tonto Malembe” is an intricate Venezuelan Folklore tune while “Ritual” features guitarist Jeff Miles engaged in a beautiful piano/guitar combo in one of the delightful moments of the disc. “We start our Jazz program with a new release named FEYAS which just came out in 2012 by New York-based Colombian pianist Gabriel Guerrero leading this exquisite sound journey. Guerrero has been part of Danilo Perez Big Band as well as pianist for world renowned saxophonist Jerry Bergonzi who is a guest on the album. 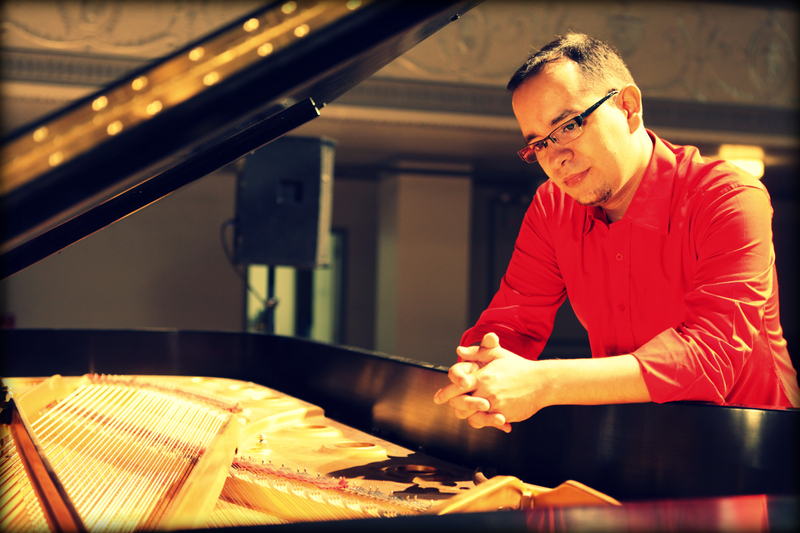 We begin our journey with the intelligent version of “Colombia Tierra Querida” written by Lucho Bermudez and arranged by Guerrero to what the pianist states is a special vision of his country Colombia. The track “Ritual” evokes in a prayer like mood the strength that comes from above. One finds surprising that a Jazz record such as this album by young Colombian Pianist Gabriel Guerrero is inspired and dedicated to the shining, evanescent and beautiful presence of angels in an early dream in his childhood to which Guerrero named Feyas which gives the title to this album.